RDS Commercial is an independent, commercial property consultancy based in West Oxfordshire that provides high quality and personal commercial property advice focused on Oxford, Witney and across Oxfordshire. As chartered surveyors with over 35 years experience of the Oxford market and members of the RICS, we provide a wide range of professional services covering most aspects of the commercial property work of chartered surveyors excluding transactional sales or letting. We have recently strengthened our service to clients by association with Sanderson Weatherall LLP, one of the largest firms of independent chartered surveyors with offices in London, Bristol, Birmingham and the north of England. Chartered surveyor with over 35 years commercial surveying experience in Oxfordshire. 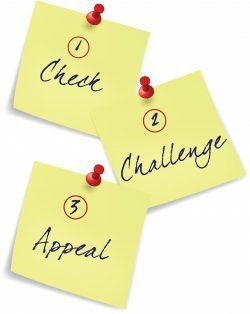 Is your business ready for the new Check Challenge, Appeal business rates appeal process? It applies to all proposals in the 2017 Rating List.